The Little Miss is in need of more play things that help her use her imagination and promote pretend play. We don't have a lot of room for toys around our house so we don't have very many and I'm sorry to say that most of them are for babies, not toddlers. So I thought I'd whip up some make believe/dress up gifts to give her for Christmas this year. Ever since Halloween she frequently asks me to draw a dog nose on her with my eyeliner, so what better to go with a little black nose than animal ears? We tried them on today before they get wrapped up and she had a lot of fun! I used freezer paper to more easily cut the felt shapes (just draw the shape on the freezer paper and lightly iron it waxy side down onto the felt, cut around it, and then peel it off - you can reuse the same freezer paper shape several times), and double stick fusible to adhere the fabric to the felt, then embroidered around the parts I wanted, and finally used the sewing machine to stitch around the outside edges. 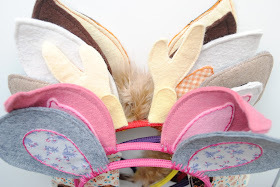 Then I used a glue gun to stick them to the headbands and I was really surprised how well they stuck! You have to pull really hard to get them off (I had to re-do a couple and ended up cutting them off because it was so hard to get them off). But, I was still a little paranoid that little hands would find a way, so I ended up using embroidery thread to secure them even more and also help hide the glue. Um, these are absolutely adorable! Mind if I link to you and use that picture of the whole stack on my post? Great idea Stace, they are adorable and a great idea. I want to make some! So cute! I will have to make some for my girls! LOVE these Stacy! I'm totally blogging these tomorrow. i really love the headbands. way to go on something new and original. new follower. LOVE THIS thanks so much!! These are to die for! What a great idea! I'll be featuring this on my blog on Thursday - credited and linked back to you! these are darling!! I am totally going to make some of these for my girl. Thanks for the cute idea! So adorable and as the mother of two girlies who LOVE to dress up, I promise they will get TONS of great use!!! love these! would you be willing to sell me a couple of pig ones on etsy? 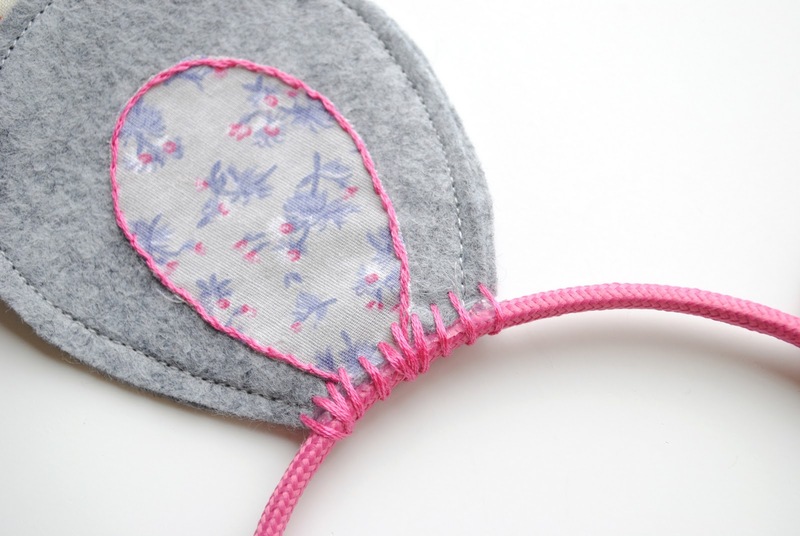 i don't know how to sew at all and would love some of these for my daughters "olivia-inspired" birthday party! 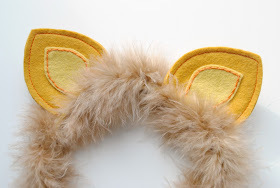 Okay, since I can't sew/glue/anything worth a lick, how much would you charge me for a few of those? Seriously. I'd love you to make some and send them my way. I would put them on my blog, too, of course. Would you be willing to make three? Please?? Oh, I LOVE the deer ones! Fantastic! Thanks so much for the inspiration. 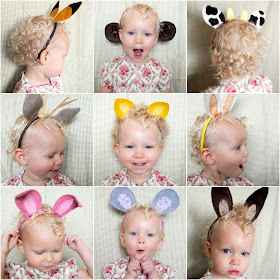 Pinterest brought me over here in the search of headband ears. Exactly what I was looking for! I love these so much, I pinned it forever ago and will be using this idea so my 2 year old can be a "pink kitty cat" for Halloween. Wow, so simple and adorable I must try it at once!Thanks for sharing. These are so cute!! And I love how they promote pretend play!! I'm pinning this to my Gifts for Preschoolers (DIY Style!) board! I wanted to see if I could place an order for the fun animal ears you made? If so, what would the sale price be? I just love them! They are so cute. I wanted to use them for my daughters 2yr birthday party, but being busy with a newborn, I don't see how I'd find the time to make them.